I'm so excited for spring/summer as I can't wait to get my summer dresses out of the wardrobe and lighter jackets. 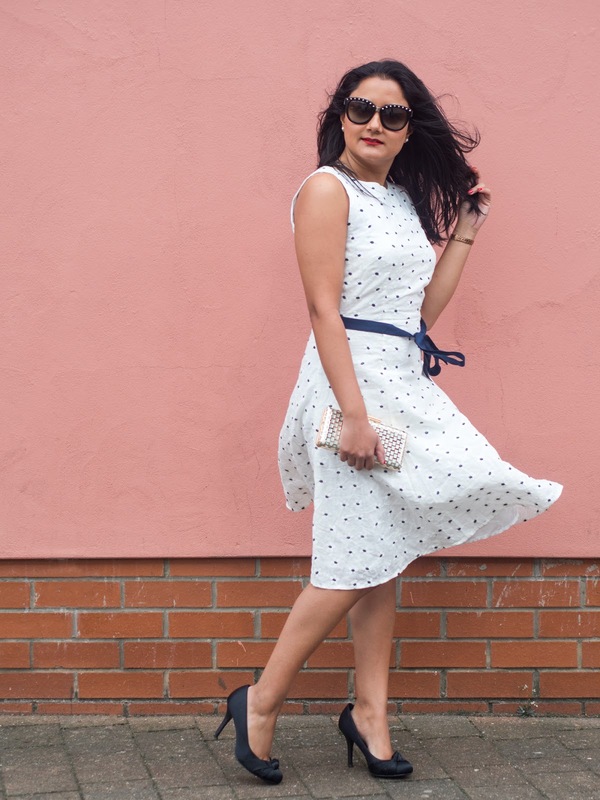 I find it much easier to dress effortlessly in spring and summer, as often you can have one great piece such as a dress, and that's literally all you need to look put together in a rush. 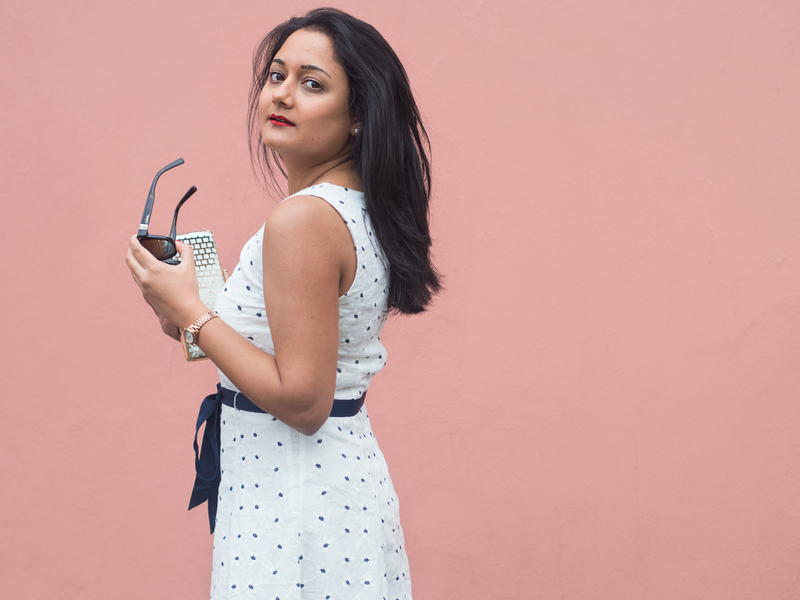 I've collaborated with Apricot* to show you how to dress effortlessly in spring/summer this year. Apricot have recently launched their SS17 collection with plenty of new items perfect for the upcoming seasons. When I say effortlessly, I mean literally being able to put a dress on and look amazing. That's why I always recommend looking out for those eye catching and stand out pieces when shopping. 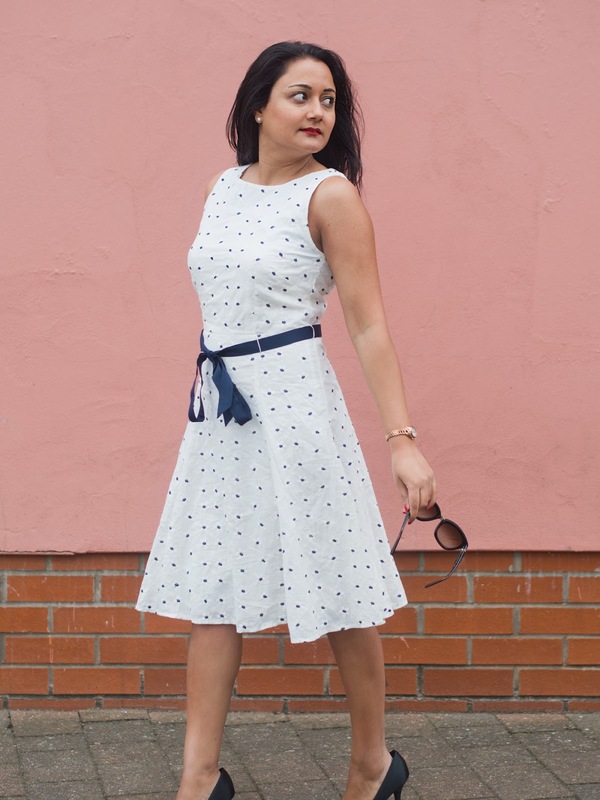 I chose two dresses from Apricot - a denim dress and a white polka dot dress. I think they both have their own individuality and can be styled for both the day and night. 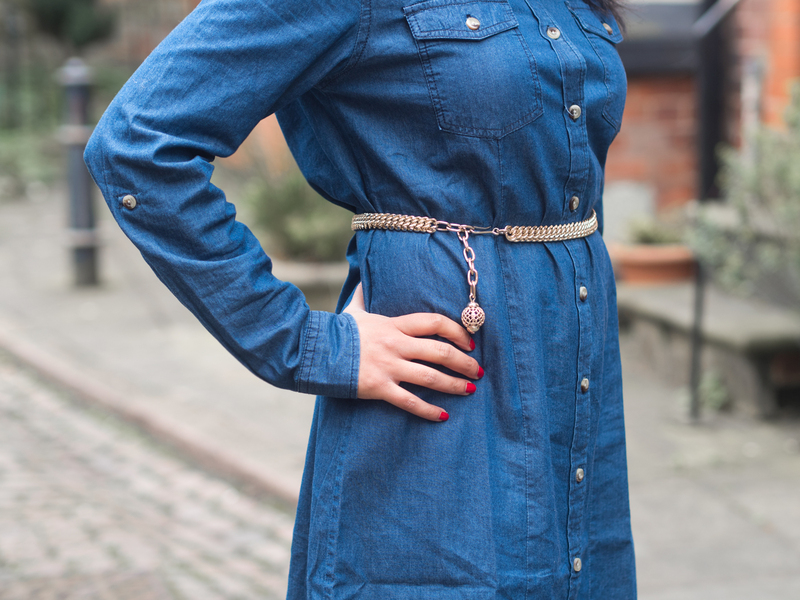 I like to have clothing that's fitted in all the right places so I decided to add this gold belt to the denim dress. This clinches you in at the waist and makes it look much more flattering. For the white dress, there was a belt already with it and luckily the fit was perfect for me already. I love how the bottom of the dress flows nicely and on this windy day, it actually looked great! Spring and summer is the perfect time to introduce colours into your wardrobe. 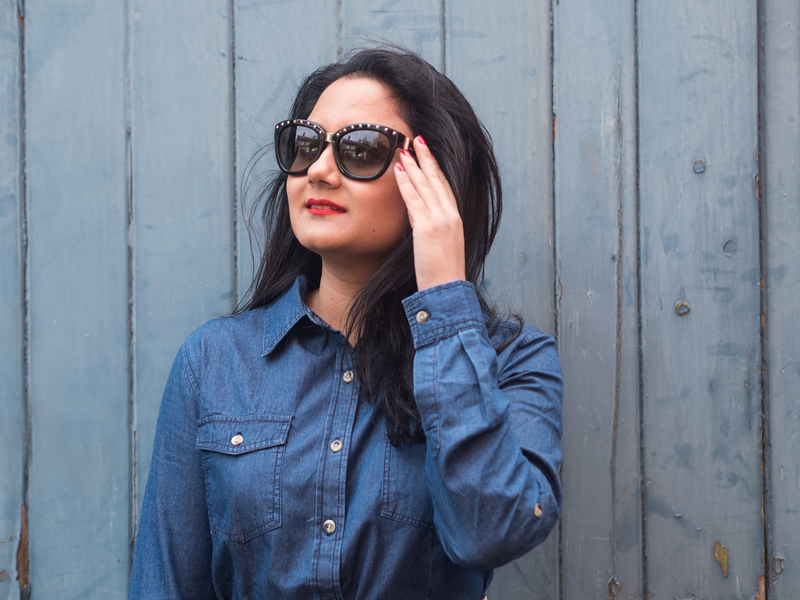 Although I've picked a white dress, I've also picked this blue denim dress which really stands out this season. 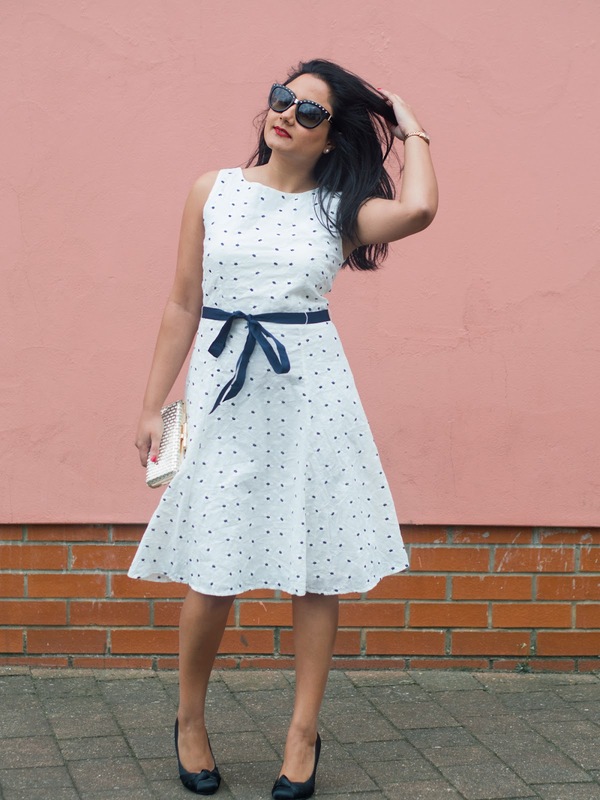 I love how the colour of the blue dress pops and the white dress is such a classic piece. 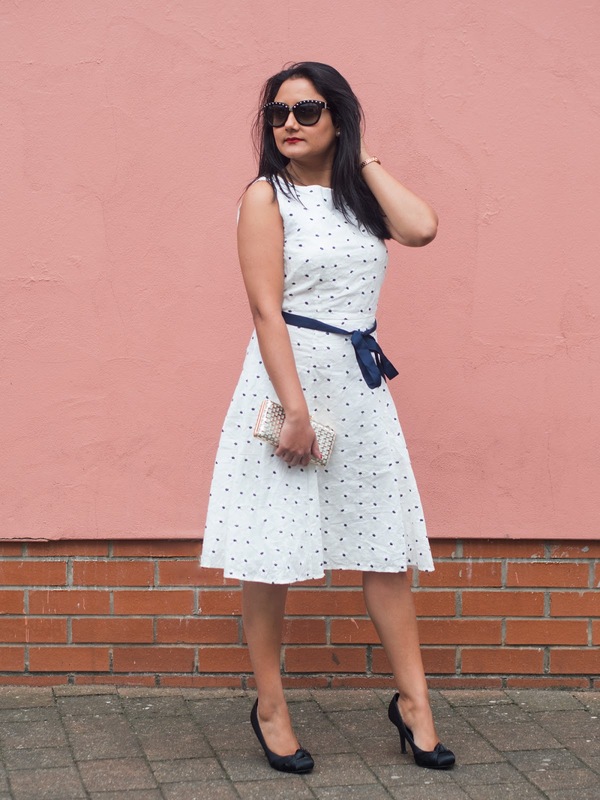 The polka dot design is one of my favourites, so when I saw this dress I knew it would be perfect for me. 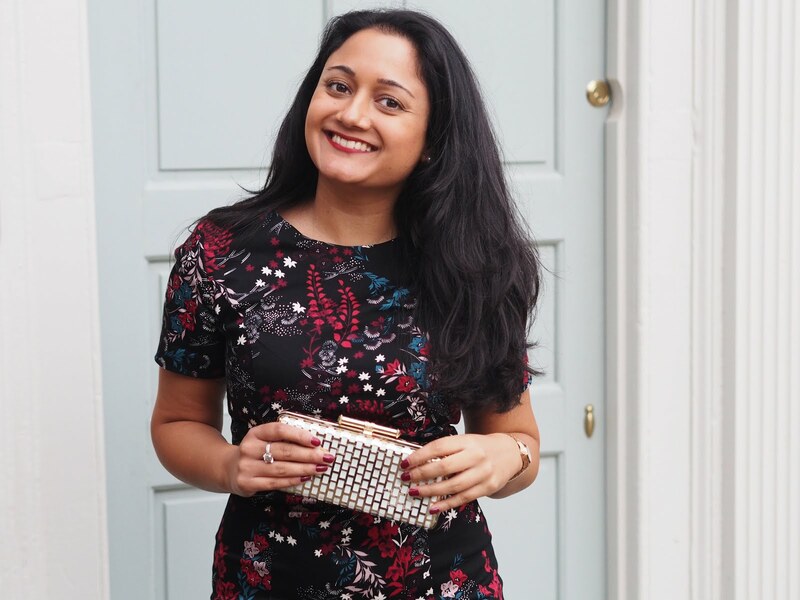 As you may know, I'm big on accessories so styling your outfit with the perfect handbag or shoes is key. For the denim dress, it's much more of a casual weekend look, so I paired this with my blue Prada bag. I like the shape and size of this bag as I can fit so much in which is great for a day out. The white dress is more of an occasion dress so I decided to pair this with my gold clutch bag. Both outfits are perfect for the upcoming seasons and I'm excited to wear them more. *Apricot clothing kindly gifted me these two dresses. All views are honest and my own, as always. Looking great as usual Radhika! 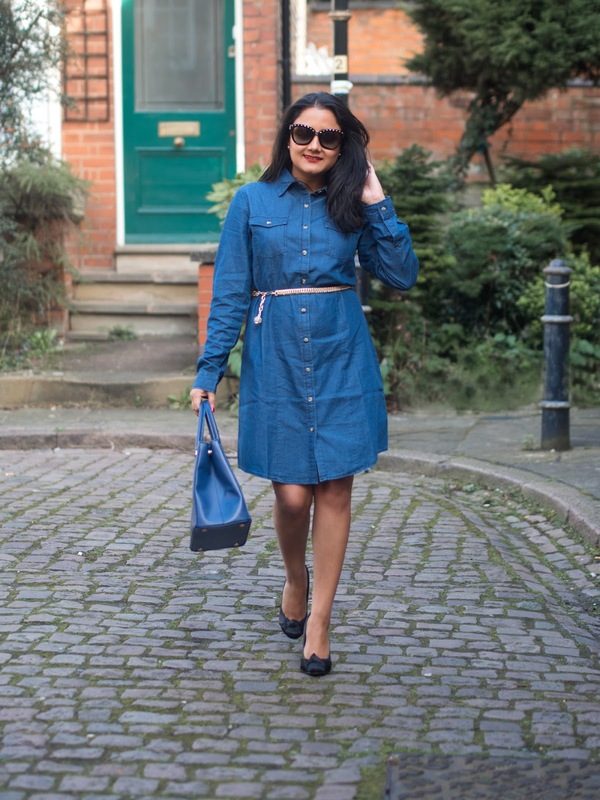 I love the denim dress, in fact I have a very similar one and it's perfect, I wear it casual mostly but like you say it can easily be accessorised up for the evening.